The classical music scene in Madison is so rich that it is always a challenge to name a Musician of the Year. There are just so many deserving candidates. One obvious example is conductor John DeMain, who is completing his 25th year of outstanding stewardship in directing the Madison Symphony Orchestra and the Madison Opera. But part of the intent behind such an honor is not just to recognize well-known figures. It is to encourage a broader awareness of those people who do a lot for local classical music but who often fly under the radar for many people. 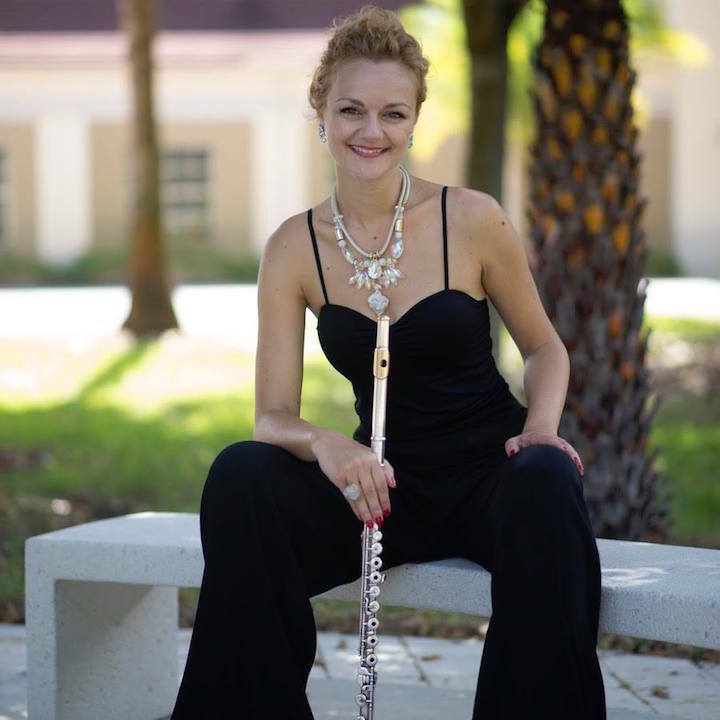 That is why The Ear is naming flutist and activist Iva Ugrcic (below) as the Musician of the Year for 2018. As both a performer and entrepreneur, Ugrcic is always very busy broadening her varied career. Being both a player and an activist, she is making a difference, musically and socially, that deserves to be recognized and supported. Serbian by birth and educated in Belgrade and Paris, she came to Madison where she completed her doctorate in flute performance and also took business courses at the UW-Madison Business School. She now plays with the Black Marigold Wind Quintet and Sound Out Loud, both of which are based in Madison and both of which devote themselves to contemporary composers and new music. This year, Urgcic also soloed with the Middleton Community Orchestra (below, in a photo by John W. Barker), performing to critical acclaim a relatively unknown concerto by 19th-century composer Carl Reinecke. This year, Urgcic also took over as artistic director of the Rural Musicians Forum, which brings classical music, jazz, world music and ethnic music, played by outstanding performers to the Spring Green area, often at the Taliesin compound of architect Frank Lloyd Wright. But perhaps her most long-lasting contribution is her founding and now directing the LunART Festival that, in the same year of the Me Too movement, sought to present an all-women event that featured composers, performers, visual artists and writers. 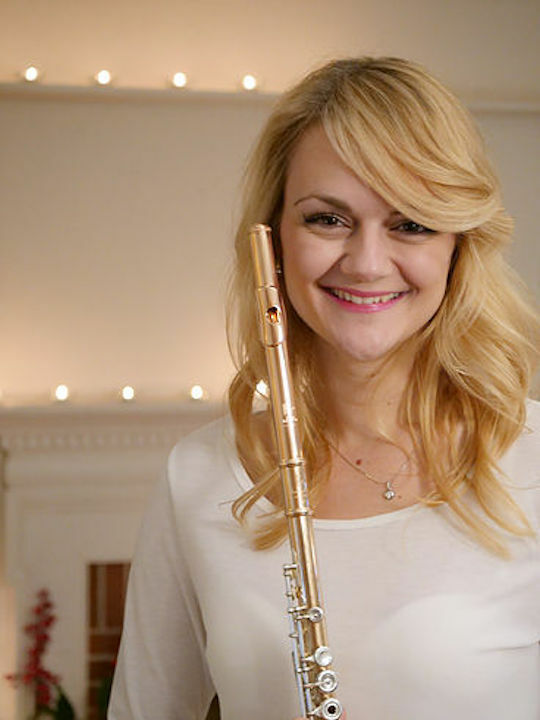 Such was its inaugural success in 2018 that it won a national prize from the National Flute Association and a second festival will take place from June 9 through June 9, 2019. 2019 will also see the release of her second solo recording devoted to the music of the contemporary Romanian composer Doina Rotaru, even while she is working on a recording of “Beer Music” by contemporary American composer Brian DuFord. And all that is just the beginning for such a promising talent. We will be hearing much more from her and about her in years to come. Here is one more thing that speaks to The Ear. It feels important, even necessary, to recognize the positive contributions of an immigrant at a time when the current “America First” administration under President Donald Trump seems so paranoid and negative, so xenophobic and afraid of foreigners. The U.S government should be less intent on condemning or stigmatizing immigrants, whether legal or undocumented, and should put more emphasis on their contributions and on the long and distinguished history they have in the United States. Iva Urgcic is yet another example of the talent we Americans stand to lose if we do not accept and encourage the gifts that immigrants bring in so many ways — from the arts, medicine, education and technology to everyday life and work. Please join The Ear is expressing gratitude and congratulations to Iva Urgcic. IF YOU LIKE A CERTAIN BLOG POST, PLEASE FORWARD A LINK TO IT OR SHARE IT (not just “Like” it) ON FACEBOOK. Performers can use the extra exposure to draw potential audience members to an event. 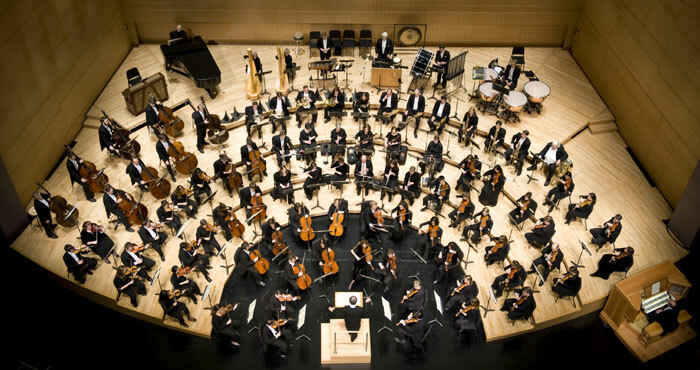 Three local debuts will take place this weekend in the three “Epic Romance” concerts by the Madison Symphony Orchestra (below). Renowned Canadian guest conductor Tania Miller will lead the MSO while music director John DeMain makes his debut at the Liceu Theater in Barcelona, conducting the opera Candide in celebration of the 100th anniversary of Leonard Bernstein’s birth. Grammy Award-winning American cellist Zuill Bailey will make his Madison Symphony Orchestra (MSO) solo debut in Edward Elgar’s Cello Concerto. And Canadian composer Michael Oesterle will be performed for the first time in Madison when his work “Home” opens each concert. The second half of the program is Peter Ilyich Tchaikovsky’s Symphony No. 5. Performances will be held in Overture Hall of the Overture Center, 2912 State Street, on Friday, Oct. 19, at 7:30 p.m.; on Saturday, Oct. 20 at 8 p.m.; and on Sunday, Oct. 21, at 2:30 p.m.
Canadian Conductor Tania Miller has distinguished herself as a dynamic interpreter, musician and innovator, on the podium and off. 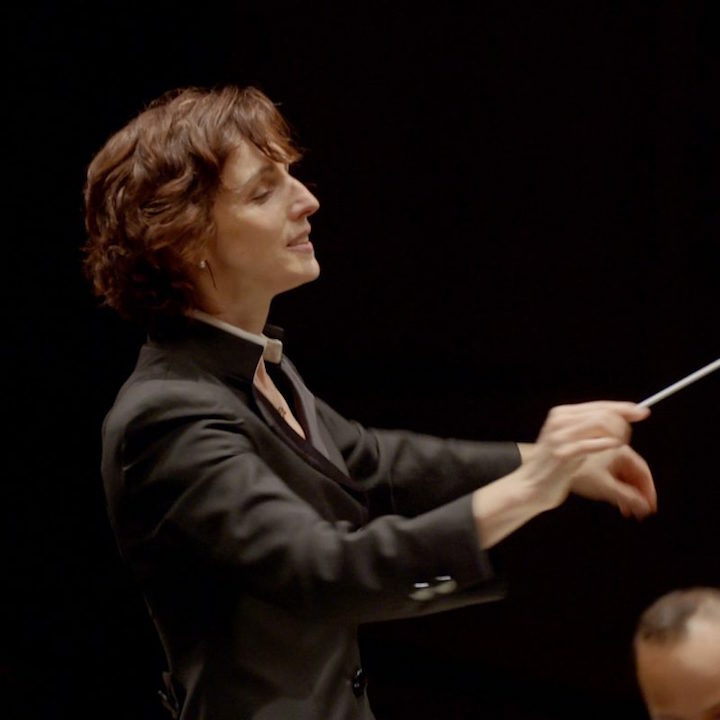 She has been praised for “energy, grace, precision and restraint.” She has appeared as a guest conductor in Canada, the United States and Europe with such orchestras as the Bern Symphony Orchestra, Seattle Symphony, Oregon Symphony and the Vancouver Symphony, among others. Over a 14-year tenure as the Music Director of the Victoria Symphony in Canada, Miller (below) gained national acclaim for her passion and commitment to the orchestra and community. Recipient of the 2017 Friends of Canadian Music award from the Canadian League of Composers for her acclaimed commitment to contemporary music in Canada, Miller has been an example of the impact of commitment and dedication to an orchestra and to the future of orchestral music through creative innovation and vision. 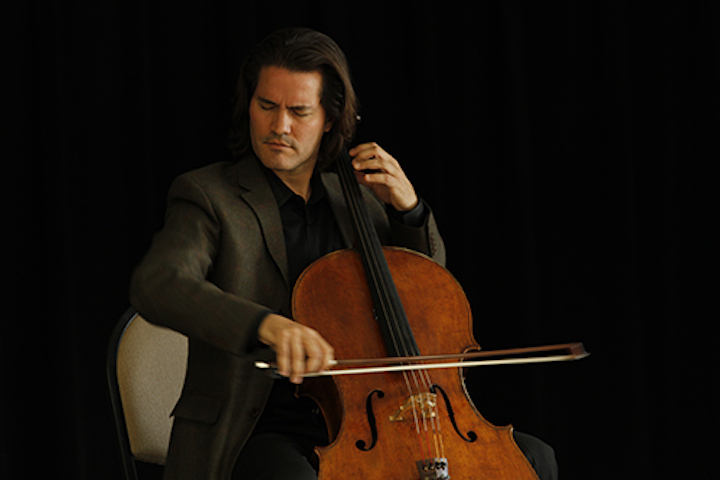 Zuill Bailey (below), described by Classical Net as “easily one of the finest cellists today,” has been featured with symphony orchestras worldwide, including Los Angeles, Chicago, San Francisco, Toronto, Israel, Cape Town, and the Bruckner Orchestra in Linz, Austria. Bailey has also appeared at Disney Hall, the Kennedy Center, the United Nations, Lincoln Center and Carnegie Hall. In 2017, Bailey won a best solo performance Grammy Award for his live recording of “Tales of Hemingway,” by composer Michael Daugherty. His celebrated “Bach Cello Suites” and recently released Britten Cello Symphony and Sonata CD with pianist Natasha Paremski immediately rose to the No. 1 spot on the Billboard magazine Classical Chart. 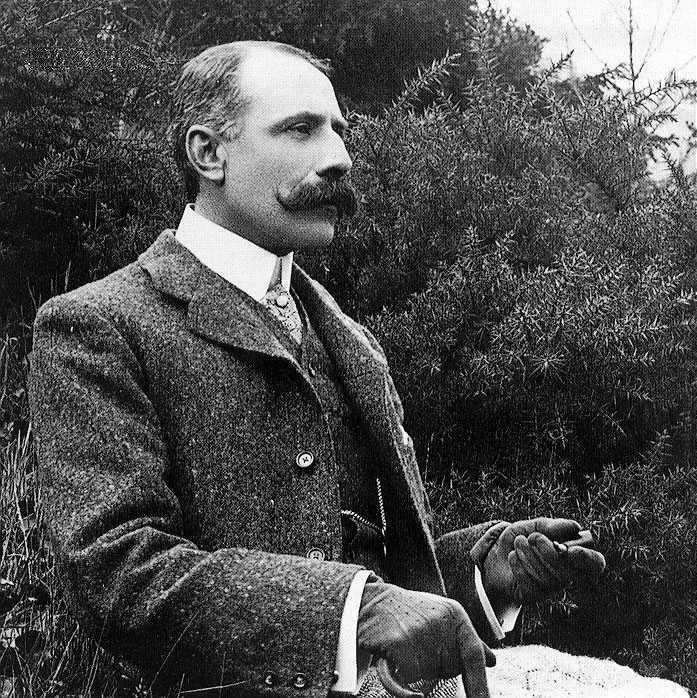 His Cello Concerto was the last notable work by Sir Edward Elgar (below), composed in 1919 in the aftermath of World Ear I. Upon regaining consciousness following a 1918 tonsillectomy, Elgar immediately asked for pencil and paper and wrote down the melody that would become the first theme in this concerto. Despite today’s renown as a crowd favorite, the piece did not achieve wide popularity until the 1960s, when a recording by Jacqueline du Pré caught the public’s attention, and it became a classical favorite. 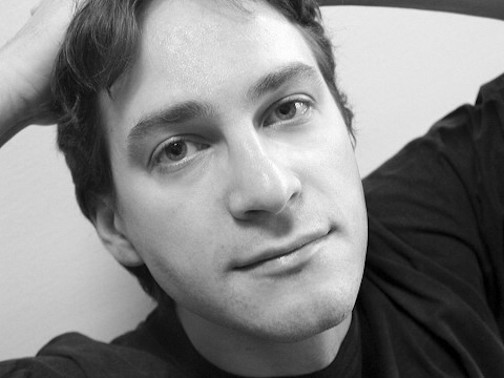 Michael Oesterle’s “Home” had its world premiere in November 2017 with the Royal Conservatory Orchestra and conductor Tania Miller. Composed between May and August 1888, Tchaikovsky’s Symphony No. 5 was first performed in St. Petersburg at the Mariinsky Theatre with Tchaikovsky below) conducting. Unlike its two predecessors, there is no known program for the Fifth Symphony, save for a recurring main theme heard throughout all four movements. Over the years this theme has become known as the “fate” motive; its original ominous character undergoes various metamorphoses, emerging triumphant in the score’s concluding pages. The lobby opens 90 minutes prior to each concert. 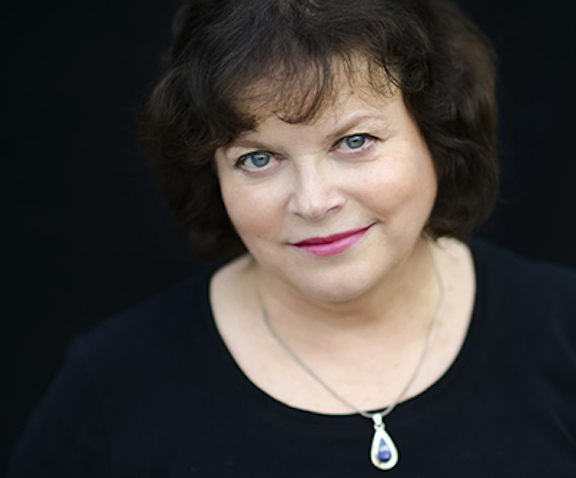 One hour before each performance, Madison Symphony Chorus Director and UW-Madison director of choral activities Beverly Taylor (below) will lead a 30-minute Prelude Discussion in Overture Hall to enhance concertgoers’ understanding and listening experience. It is free to ticket holders. The MSO recommends concert attendees arrive early for each performance to make sure they have time to pass through Overture Center’s security stations, and so they can experience the Prelude Discussion. Single Tickets are $18-$93 each and are on sale now at: https://madisonsymphony.org/ax through the Overture Center Box Office at 201 State Street, or by calling the Box Office at (608) 258-4141. Fees apply to online/phone sales. Groups of 10 or more can save 25% by calling the MSO office at (608) 257-3734. For more information, visit, https://www.madisonsymphony.org/groups. Seniors age 62 and up receive 20% savings on advance and day-of-concert ticket purchases in select areas of the hall. Discounted seats are subject to availability, and discounts may not be combined. Major funding for the October concert is provided by: Mirror 34 Productions and National Guardian Life Insurance Company. Additional funding is provided by John A. Johnson Foundation, a component fund of the Madison Community Foundation, Barbara J. Merz, Selma Van Eyck, and the Wisconsin Arts Board, with funds from the State of Wisconsin and the National Endowment for the Arts. ALERT: The acclaimed Mosaic Chamber Players close out their current season on this Saturday night at 7:30 p.m. in the Landmark Auditorium of the First Unitarian Society of Madison, 900 University Bay Drive. The program offers two of the most famous piano trios ever composed: the “Archduke” Trio in B-flat Major, Op. 97, by Ludwig van Beethoven; and the Piano Trio No. 1 in B Major, Op. 8, by Johannes Brahms. Tickets are at the door, cash or check only, and cost $15, $10 for seniors and $5 for students. The theme of immigration only seems to grow as a timely and politically charged topic not only here in the U.S. but also around the world, especially in Europe, Africa, the Middle East and Asia. 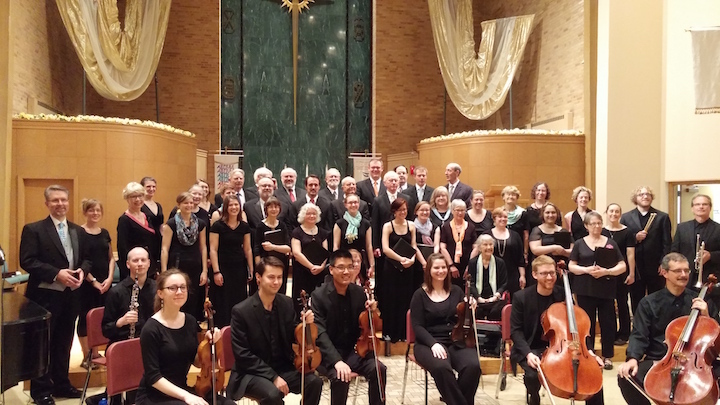 In another indication that the performing arts are returning to a socially activist role in the current political climate, immigration is the unifying theme of a concert by The Choral Arts Society Chorale of Madison (below), a local community chorus. 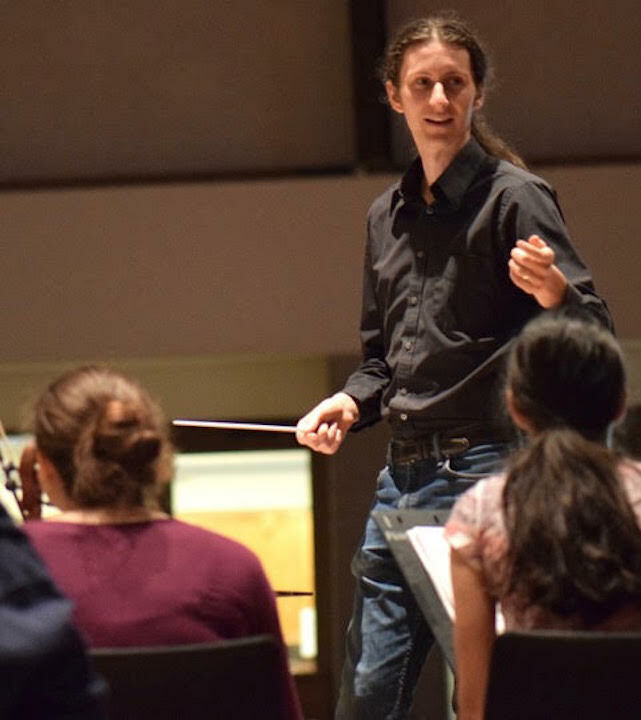 The group performs this Friday night, April 27, at 7 p.m. at Trinity Lutheran Church, 1904 Winnebago Street, on Madison’s near east side, under the direction of the group’s artistic director Mikko Rankin Utevsky (below), who also founded and directs the Madison Area Youth Chamber Orchestra (MAYCO). The program, titled “Would You Harbor Me?,” features music about and by immigrants, and about longing for a home. 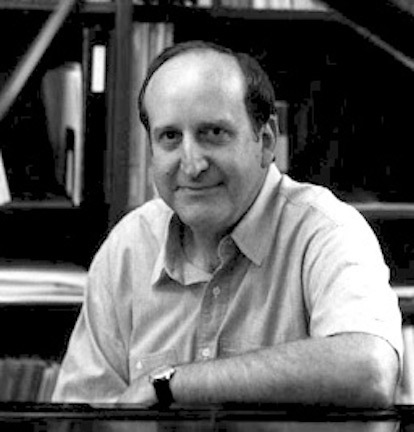 The centerpiece is the 1998 cantata “The Golden Door” for chorus and chamber ensemble by Ronald Perera (below). You can hear the “Names” section of the work in the YouTube video at the bottom. 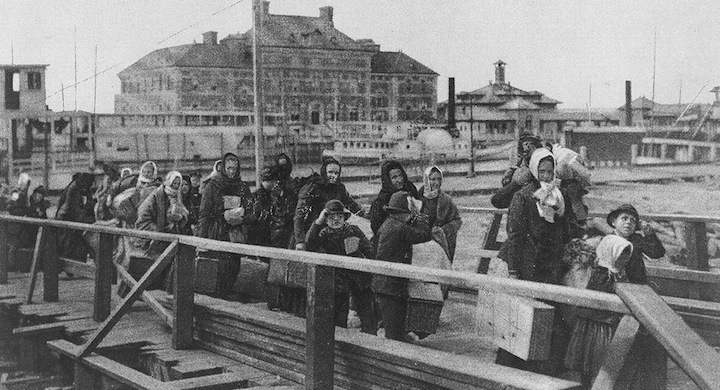 The work is based on texts from the archives of Ellis Island (below). 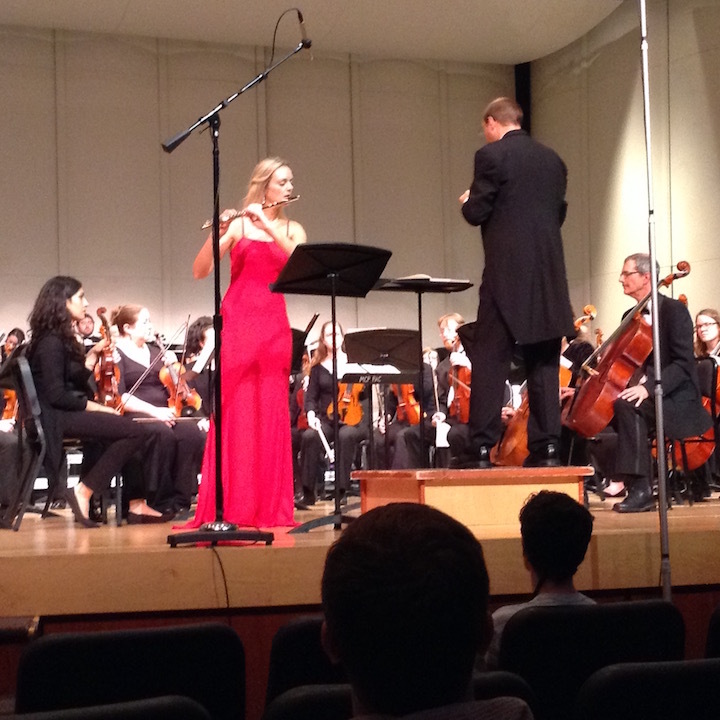 Also on the program – drawn from different time periods and different cultures — are pieces by various composers. 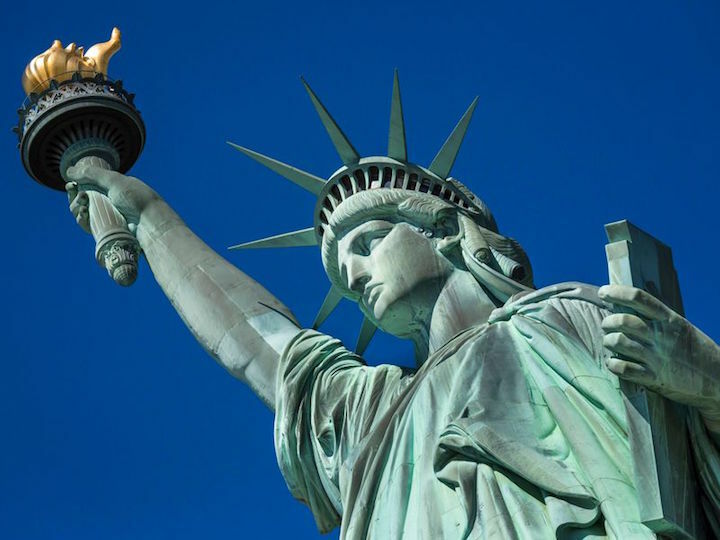 They include Leonard Bernstein; Palestrina; Heinrich Isaac; Sydney Guillaume; Sweet Honey in the Rock‘s Ysaye Barnwell on themes of leaving home and welcoming the stranger; and Irving Berlin‘s setting of the poem from the Statue of Liberty (below). Tickets are $15; $10 for students $10, and re available at the door, or online at: https://www.eventbrite.com/e/choral-arts-society-chorale-spring-concert-tickets-44453227801.